YouTube Music is a mobile app launched by Google in 2015. The user will be able to access videos of favourite artists and also videos of amateur artists. There is no need to sign up for YouTube Red to use YouTube Music app. Based on the history of each user, YouTube Music will offer better songs. YouTube Music, when launched, was competing with other music services such as AppleMusic, Tidal, and Spotify. YouTube Music is the free mobile app which can download. Users who have YouTube Red subscription can enjoy the app without ads between songs. YouTube Music is an app complete with personalised playlists and large numbers of music videos. Subscribers of YouTube Red can enjoy the music turning the phone screen off, or the music can play while switching between apps. They can enjoy the music without the interruption of the ads. If the internet signal is weak, they can also enjoy the offline videos. YouTube Music app is available now only in few countries. These are Australia, Korea, US, New Zealand and Mexico. Google claims that it will be expanded to other countries also soon. The app can download for both Android and iPhone and iPad devices. 4.1 or more version of Android is required, and 2 GB of RAM needed for the best experience. YouTube Music cannot use on tablets. iOS 7 or above version is necessary to run YouTube app. Download the YouTube App on your mobile phone and open it. There are three tabs namely Home, Trending and Liked. Get started by tapping on any one of these songs. There is also search option where you can enter the name of the song, artist or the album. Tap on the Home tab to check customized stations and recommendations. Sign in to YouTube Music with the YouTube account to get recommendations based on YouTube search history. Trending Tab is where you can find the featured and currently popular music available on YouTube. Suggested playlists also are displayed. Choose the Liked tab to see the songs, stations, and albums that you liked. YouTube Red is also available in only a few countries, and this is the paid membership. Users can have excellent viewing experience on YouTube, YouTube Music, Kids, Gaming with this association. YouTube Red allow watching the video without any ads. These videos can be viewed even on gaming consoles and Smart TVs. 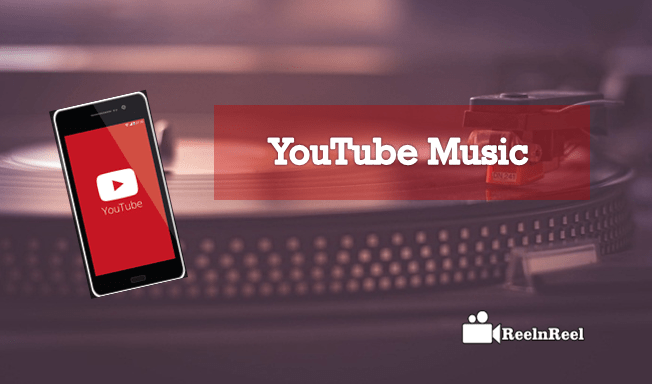 Having YouTube Red membership also offers many benefits for YouTube Music users. YouTube Red members can download the music and enjoy it offline for Thirty days. YouTube Red saves data as the music can listen even when not connected to the internet. YouTube Red can be done either by turning off the offline mixtape or by choosing specific songs, playlists to download. Sometimes we may have to use other apps on the mobile phone when listening to music. With YouTube Red membership, you can continue to listen to YouTube Music and use other apps. You can also turn off the screen and listen to music. This feature, however, is a paid service and thus a part of YouTube Red membership. Another benefit of YouTube Red membership is that the user can listen to the music in an audio mode without loading the video. YouTube Music helps when there is a low connectivity or other issues. YouTube Music users can customise their listening experience. While the song is playing, Tap on the Like or Dislike to customise the station. Adjusting the station tuner also helps to customise the variety of music that the stations play. Create playlists that show up on the Liked tab of the Music app. Like this how you can create the playlists in this app. Tap info on the page when listening to a song, tap on add to the playlist and then draw on creating a new playlist. You can also add the song to the existing playlist. The playlist can edit by tapping on the three dots, selecting the View Playlist and choosing to Add a song. Swipe left on the song to remove it from the playlist. The playlist title changed, or a description can add by selecting the Edit Playlist option. YouTube Music App received a new update. YouTube Red subscriber can now enjoy a new feature with this update. The playlists, songs, and music can save for offline access. The playlists are especially beneficial where internet connection is not available. Latest Update to YouTube Music App can save data also. This functionality found in the most recent versions of iOS and Android apps. YouTube Music can be watched even without YouTube Red Subscription, but then you have to bear with the interruptions of advertisements. With YouTube Red subscriptions users can download the video when WiFi is savable and can enjoy the music offline without using the mobile data. There is another exciting feature of YouTube Music app. If you are listening or watching a song on YouTube Music app, tap on the ‘Explore’ section to find content related to that video. The user can check the demos, removes, liver performance, etc. associated with the music video.YouTube Music is a reliable tool that comes with YouTube Red Discount. The hybrid music experience is ready when you download the app along with a giant library and an ad-free content and offline listening feature. The First key to optimising your videos are starting implementing meta tags for every video. The necessary things included in Meta tags are a title, useful Description, Keywords, Tags, Thumbnails and valuable thumbnails. Optimisation of a YouTube channel videos depending on the Multichannel and single channel artist videos. Unique channel artist videos are cross-promoted, whereas compared to multichannel. It depends on the channel layout, if your channel layout was unique, then people can quickly identify and brands your albums easily. The video title should include heavy keywords first and then general keywords, tags should have general words, a description should focus on the call to action, singer name, artist album name and song details. If you are releasing an Album or a song, banner the song album and enable autoplay on feature promotional video. Include a call to action button, pre-release feature date and purchase links on it. Think strategically how curated content you are uploading to your YouTube channel. Create playlists like Favourite, Top songs, most liked and most viewed videos. Create a YouTube specific promotional videos to for reusable and standalone videos. Artist must encourage the audience through their videos include a call to action to contact and release behind the scenes videos to make interesting. Organise your channel into playlists on their YouTube channel to increase watch time for videos. The playlists should be interesting, long time, include other artist albums, remix, user-generated videos, cover album videos included in the Playlist. Cross Promote your videos on other channels include social media to cross-promote your music videos. Request other channels to promote their artist albums. Promote on Facebook, Twitter, YouTube channels and other websites. Involve fans inclusive shootouts, promotions, announcements and co-creation with fans. Offer exclusive tickets for fans, on video descriptions or as a tagline. Those who are maintaining a YouTube Music channel can browse and manage the above conditions. The above is the best guide for Youtube Music Channel and YouTube Music App users.